There are few things creepier than a demonic doll, with no cinematic depiction being quite as horrifying as Child’s Play. It is therefore unsurprising that Chucky is getting a reboot, with a starry cast bringing the horrific voodoo doll back to life. 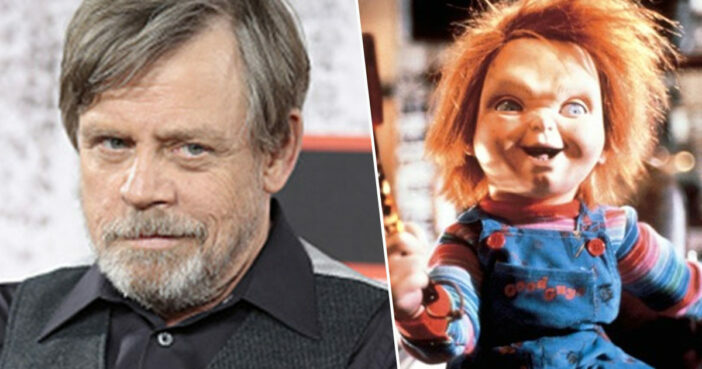 Now Mark Hamill has revealed he will be lending his considerable voice acting talents to voicing Chucky, joining Aubrey Plaza, Gabriel Bateman, and Brian Tyree Henry for this hotly anticipated ‘contemporary re-imagining’. As reported by Deadline, Hamill announced this exciting news through a taped greeting at Orion Pictures’ WonderCon panel. If you’re wondering who’s going to play Chucky in the new Child’s Play, you’re looking at him. Although best known for his work in Star Wars, Hamill also has a considerable body of voice acting work under his belt, including having voiced The Joker in Batman: The Animated Series. It’s almost got a Spielbergian vibe to it. The reason I did it was for how beautiful the script was. It doesn’t feel like a hokey, shticky, campy movie. If you remember the original Child’s Play, it was a drama! It wasn’t that funny. As the franchise went on, it became something else. The remake really captures the original. Child’s Play will creep into cinemas – and your nightmares – June, 21. Aubrey Plaza on Emceeing the Spirit Awards Before Hostless Oscars: "I'm the Last Host on Earth"